Thanks for stopping by my project. Sorry, I am very behind in commenting on your projects. Today is Henri's funeral. lovely shot that suits the day - dark but with promise. I hope all has gone well. This is a very nice photo! Looks beautiful on black, so delicate. Little beautiy hiding in there. 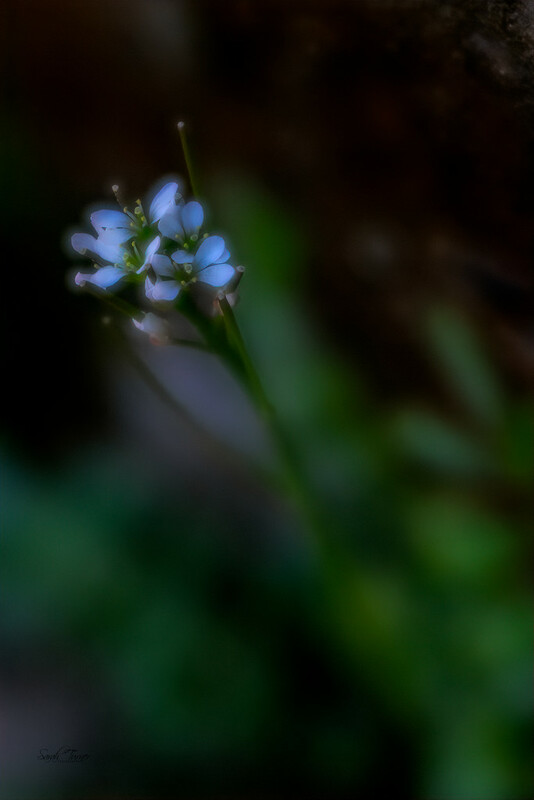 So soft and delicate and yet a bit mysterious in the dark.